Motorcyclists love riding for a variety of reasons, one being the freedom of the open road and the adrenaline you get from the surrounding open air. 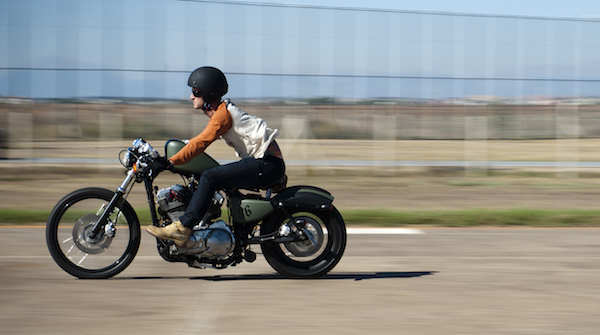 But most motorcyclists know there is a risk-reward for these pleasures. Because of their design, motorcycles are not afforded the same safety features as cars, including seat belts, windshields, or a protective shell. So when a motorcycle is involved in a crash, severe injuries are five times greater than people driving a car. The most common injury in a motorcycle crash is road rash. The injury is so common that bikers may consider road rash a badge of honor or an initiation into the motorcyclist club. But without proper treatment, road rash can be serious and even deadly. Road rash is basically an abrasive injury to the skin and tissue caused the friction with the ground. A motorcyclist that crashes their bike is likely to slide some distance before coming to a stop, the whole while skidding across a hard, unforgiving surface. Non-bikers may compare road rash to something they experienced as a child when they fell off their bike and scraped their knee. But high speeds and large motorcycles make these a much more traumatic event than a bloody knee. Avulsion: The most minor and common type of road rash. This occurs when the rider skids across the ground, causing the skin to be stripped away. These injuries are easy to diagnose — underlying layers of skin and muscle are exposed. Compression injuries: This type of road rash occurs when a biker’s body is compressed between two objects. Most commonly it’s when a biker is pinned under the motorcycle. The pressure, weight and movement of the objects while trapped causes significant injuries, including abrasions, bruising, hemorrhaging, muscle damage, etc. Open wound injuries: If an avulsion or compression injury is severe enough, tissue, muscle, and bone may be exposed. There is a serious risk of infection when these wounds are open and left exposed. There are generally three “degrees” of road rash injuries. These degrees are ranked from generally mild to the most severe. First degree: The most minor type, but can cause serious pain. First degree road rash will look like red skin, similar to a sunburn or carpet burn. While this is generally not very serious and may not need medical attention, it is always best to error on the side of caution. Second degree: This occurs when the abrasion tears the skin and road materials (rocks, gravel, dirt) become lodged in the wound. Still, the underlying layers stay intact, but proper medical treatment is advised to prevent infection. Third degree: The most severe type of road rash, third degree injuries result in complete abrasion of all five layers of skin. Fat, tissue, muscle and/or bone may be exposed. Third degree road rash leaves victims with permanent scarring. Even minor road rash injuries should be treated necessary. For minor road rash, it is important to flush and clean the wound to remove debris. If this is not done promptly, infection may occur. The reality of road rash injuries is it is often combined with other types of motorcycle injuries, such as broken bones, internal injuries, spinal cord injuries, and brain injuries. Serious road rash cases require that the debris be removed surgically. Getting quick medical treatment can make the path to recovery easier. Skin grafts and plastic surgery may be inevitable, but treating injuries early is key. According to the National Highway and Traffic Safety Administration, nearly 90 percent of motorcycle injuries result in road rash. And in many of those cases, the motorcyclist suffers some form of complication, which extends the recovery time and may leave permanent damage. Infections: The debris and bacteria that enters the bloodstream may cause serious infections. Methicillin-resistant Staphylococcus aureus infection (MRSA) is a bacterial staph infection that is resistant to most antibiotics and is therefore hard to treat. Edema: This is when there is increased swelling around the injured area, producing excess fluid. The fluid can disrupt blood flow and cause pain. Scarring: Depending on the severity of the road rash, scarring is inevitable. New skin that forms over the wound is tighter than the original skin, and doesn’t produce hair follicles or sweat glands. If you have been in a motorcycle crash, your first priority should be to receive medical attention. Making sure your health is in order is key. 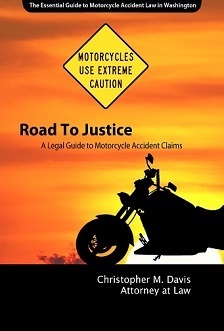 Next, contact an experienced motorcycle lawyer like the ones at Seattle-based Davis Law Group, P.S. A free case evaluation with a motorcycle lawyer can help you determine if you can recover money for your injuries, damage, and missed time from work. Do not accept less than you deserve from an insurance adjuster — go with a legal team that will work in your best interest to help you recover financially as you recover from your injuries. Contact us today at (206) 727-4000, use the chat feature below or fill out the form on this page.